NASA needs more moondust. And not just a few sterile baggies of moondust. NASA engineers need tons of it - or a suitable simulant. NASA has lots of new plans for lunar gadgets and lunar equipment, given the new plans to return to the Moon. Since we've been there before, and we've gathered samples, we know what a problem moondust can be. The lunar soil (or regolith) covering the Moon's surface is a complex material that is sharp and abrasive - with interlocking glass shards and fragments. It is a powdery grit that gets into everything, jamming moving parts and abrading spacesuit fabrics. It can also get into living spaces, where it is impossible to brush off, due to the ease with which lunar dust picks up electrostatic charges. And it can even irritate the lungs of astronauts. Astronaut Jack Schmitt had a case of "lunar dust hay fever" during his stay on the Moon. For testing purposes, noting else will do. And supplies of the real thing, brought back during the Apollo program, have run out. "We don't have enough real moondust to go around," says Larry Taylor, director of Planetary Geosciences Institute at the University of Tennessee in Knoxville. To run all the tests, "we need to make a well-qualified lunar simulant." An early substitute, JSC-1, was developed in 1993. It consisted of basaltic vocanic cinder cone deposits from a quarry near Flagstaff, AZ. It's replacement, JSC-1a, comes in three different varieties based on grain size: fine, moderate grain and coarse grain. Marshall Space Flight Center (MSFC) is working on three new simulants that will provide fake moondust from three different lunar areas; two will represent mare and polar highlands regions, while the third will represent the sharp, glassy, jagged regolith that is the worst that the Moon has to offer. The Moon offers too many distinct varieties of regolith to economically simulate each one. We will develop root simulants and manufacture specific simulants from these, but also enable investigators to enhance the products as needed," Carol McLemore, program manager at MSFC, stated. "I liken this process to baking a cake: depending on the type of cake you want, you need certain ingredients for it to come out right and taste right. Getting the recipe right whether for a cake or lunar simulants is critical." Source materials for simulants will probably come from many diverse locations in Montana, Arizona, Virginia, Florida and Hawaii. 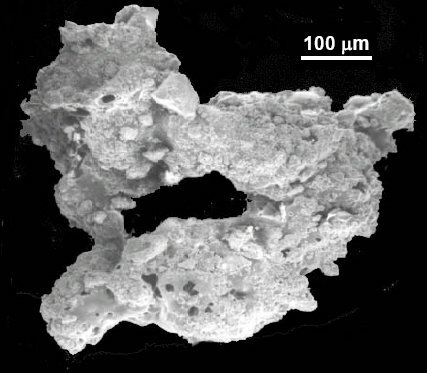 For example, the mare simulant will use ilmenite, a crystalline iron-titanium oxide. Once NASA understands how to make the simulants, and determines the best composition, certification procedures for vendors will ensure that fake moondust meets NASA standards. Skiing on the moon? Heinlein thought you could do it, and so do the Apollo astronauts. Read more about fake lunar dust at NASA.